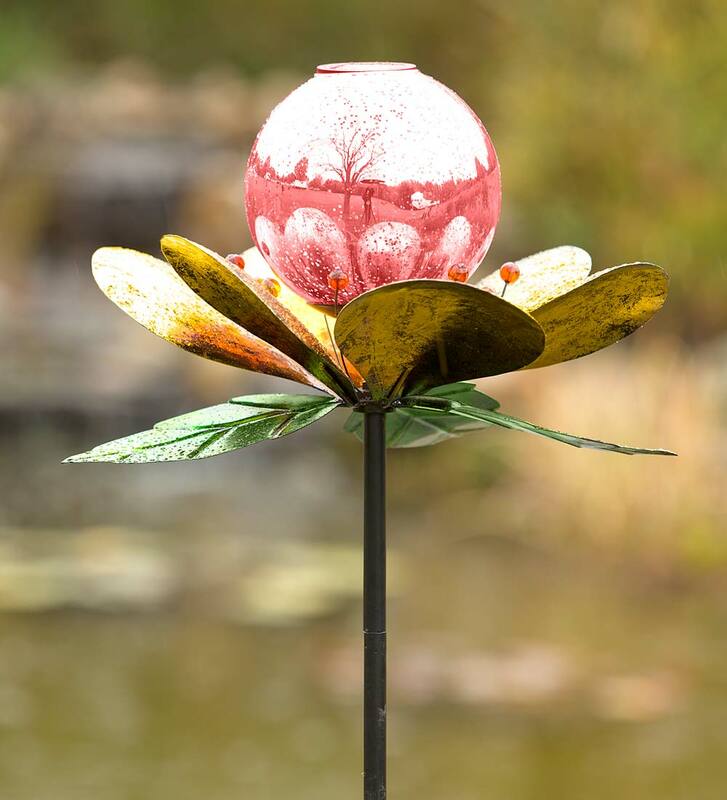 Our Illusion Wind Spinner has multiple rotors with colorful, graduated petals sure to captivate. 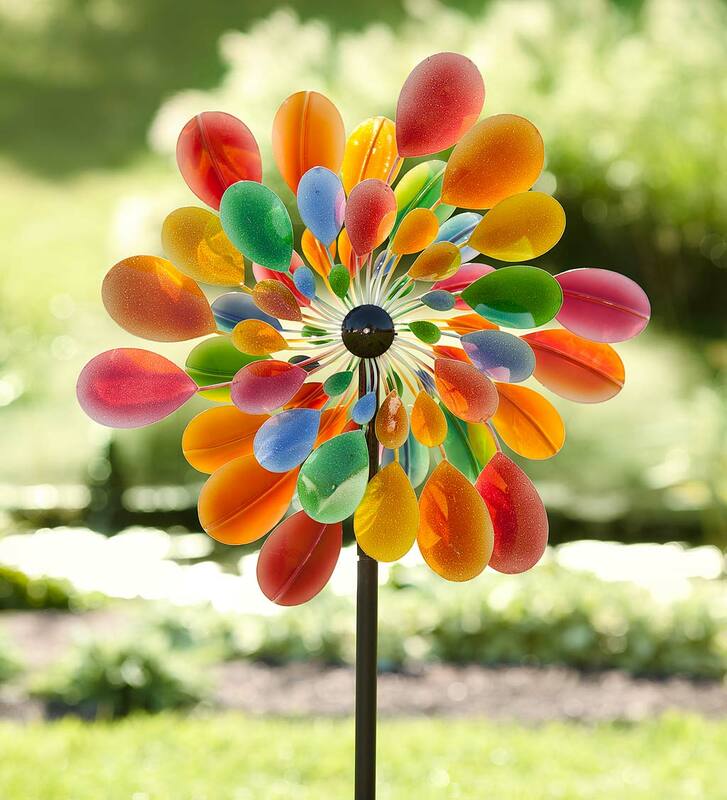 Even when it's not moving in the breeze, this vibrant piece of kinetic yard art catches the eye and enlivens your landscape. Made of metal with a colorful, all-weather finish, and ready to shine in any season. Easy assembly. Teal Flower Studio M Kaleidoscope Spinner, 13"